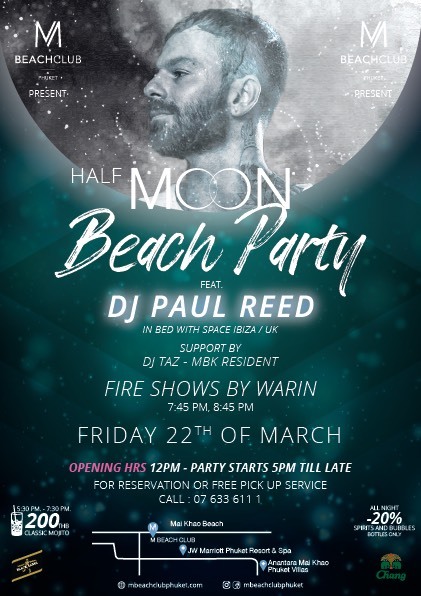 Start of the night with the sounds of DJ Taz and our amazing live entertainment including our beach fire show by Warin. The final set will be played by the one and only DJ PAUL REED as he plays his House Jam all night long! This is going to be a Half Moon party that you will never forget, with drink promotions, fire shows by the beach and amazing beats! Doors open at noon and the warm up to the main event starts at 5pm, you are welcome to come and join us at any time, see you all there!